Beautiful and strange bird eggs: Common murres, kiwis, tinamous, cuckoos, hoopoes. Whatever creative egg-decorating plans you may have for Easter, I guarantee birds already have it beat. Over the course of 150 million years or so of evolution, birds have adapted to fill just about every ecological niche on the planet, and in the process they’ve developed some surprising strategies for reproduction. Here are five of nature’s most interesting, innovative, and bizarre bird eggs. 1. Common murres are seabirds (related to puffins) that lay their eggs on bare rock on narrow ledges on the sides of cliffs. You’d think the eggs would roll off the edge and be lost or smashed every time mom or dad accidentally bumped into them. 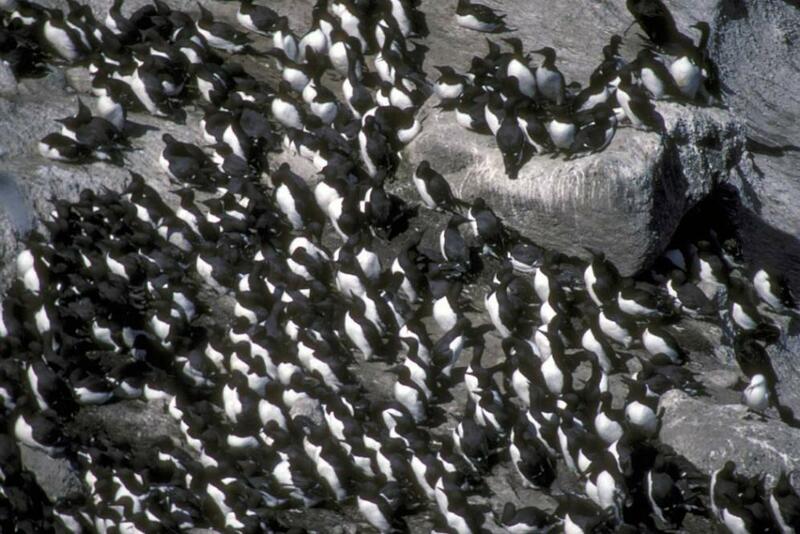 To solve this problem, murre eggs are exceptionally pointy so that if one gets jostled, it doesn’t roll away anywhere—it just wobbles around in a circle. They’re also marked with distinctive patterns of spots and splotches, which help murre parents pick out their own eggs from everyone else’s in their dense nesting colonies. 2. Kiwis lay the biggest eggs in relation to body size of any bird—each egg is around 20 percent of the mother’s total body weight. It takes a female kiwi a month to produce a single egg, and in the final days the developing egg takes up so much space inside her body that she can’t even eat. The advantage is that kiwi chicks don’t require much parental care. By the time they’ve used up all the nutrition stored in their yolk sacs, newly hatched chicks are already fully feathered and ready to go. 3. Common cuckoos are “nest parasites,” meaning they can’t be bothered to build their own nests, instead sneaking their eggs into the nests of other birds. They’ve been documented to exploit more than 100 other bird species as “hosts.” Different lineages of cuckoos have even specialized on specific host birds, laying eggs whose appearance closely matches those of their targets, making it more difficult for parasitized parent birds to realize they are incubating and protecting foreign eggs and, after they hatch, feeding intruder cuckoo chicks. Over time, host parents have gotten better and better at recognizing impostor cuckoo eggs in their nests, prompting cuckoos to lay more convincing fakes, in a classic evolutionary arms race. 4. Hoopoes … well, this one is kind of gross. Hoopoes are gorgeous Eurasian birds with a distinctive crown and the delightful scientific name Upupa epops. They paint their eggs with smelly brown fluid from a gland near their rear ends. Birds normally use the oils secreted by the uropygial gland to preen their feathers, but hoopoes are unique in that their uropygial secretions are full of bacteria. They smear the surfaces of their eggs with this microbial goo, and researchers have found that this actually reduces the amount of harmful bacteria inside the eggs, with the friendly uropygial bacteria acting as a sort of shield. 5. Tinamous have eggs worthy of even the choosiest Easter bunny, with shells in bright, shimmering colors that can appear to change as you look at them. The shy, turkey-size South American birds are the only animal known to lay eggs that are iridescent. The cuticle, or outermost layer, of a tinamou egg has special characteristics at the nanostructural level that affect how it reflects light. This “structural coloration” plus pigment produces colorful, glossy eggshells. (Full disclosure: I’m acquainted with one of the scientists who worked on the iridescent eggs research.) Why secretive tinamous need such Technicolor eggs remains a mystery. If you need a little inspiration for last-minute Easter decorating, hopefully the world’s pointiest, bulkiest, sneakiest, smelliest, and shiniest eggs will give you some ideas. (Although it would probably be best not to emulate the hoopoe.) Next time you crack an egg of the chicken variety, pause for a moment to remember its wild cousins and marvel at how weird nature can be. 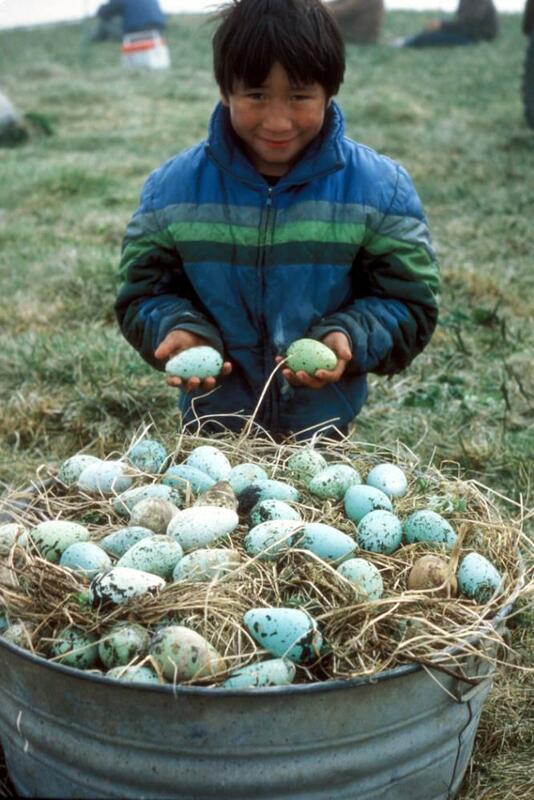 Murre eggs harvested in Alaska in 1985. See more of Francesco Veronesi’s images on Flickr.